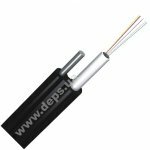 Cylindrical fiber optic splice closure of terminal type. 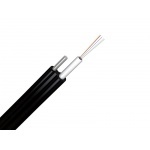 It can be used for connection or branching of optical cables at overhead, wall and underground laying. Rather big size of splice-cassettes can place many splice joints, and reserve fiber can be laid free. 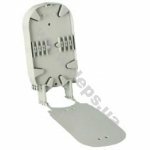 Cassettes and fixing elements for optical cable are placed in the housing of high-duty plastic. Couplings in the housing are conveniently fastened to walls or overhead line supports. Cable inputs are sealed by a special sealing tape and fastening captive nuts. Design of the housing and sealant material ensures protection from moisture penetration into the coupling and from various mechanical effects and temperature drops from - 40°C to +60°C. Splice-cassette of nominal capacity 12 and maximum 24 splices. 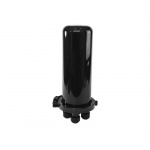 Applied in closures Crosver FOSC-F010, FOSC-G010, FOSC-P010.